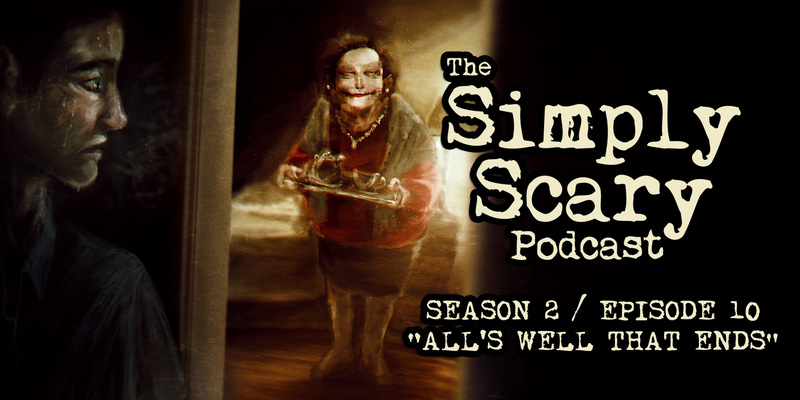 Welcome to Season 2, Episode 10 of The Simply Scary Podcast. This episode of our program is hosted by G.M. Danielson. “Come Into My Parlour” written by Gareth Shore and performed by Peter Bishop (narrator/David Simmonds), featuring Heather Ordover (The Innkeeper). Production by Jesse Cornett. Score by Jesse Cornett. Monsters aren’t always the predators and when they become the prey, monster hunters must be crafty. For the beasts that haunt dreams lie right outside the door. “Till Death Do Us Partly” written by Gareth Shore and performed by Brindolyn McNair (all roles). Production by Jesse Cornett. Score by Jesse Cornett. Caring for your loved ones should not be an undesirable task. But, when their suffering is prolonged, the devastating consequences of seeing the unbearable decay before you can snap the most even-minded. “Sweet Victory” written by Gareth Shore and performed by Jason Hill (narrator, sniper), featuring Jesse Cornett (Torquemada Special). Production by Jesse Cornett. Score by Jesse Cornett. You, like every human, will face your time to die. But what if your approaching final moments become more of a proving ground for new technology, than a way to illicit corporeal transition? If you’re thinking “Robocop,” think again. “Each to Their Own” written by Gareth Shore and performed by Jesse Cornett (narrator, the voice, Khalid, Fire Call, Death Call, Brace Call), featuring Jordan Lester (Helen) and Ashley Tolfo (Joanna). Production by Jesse Cornett. Score by Jesse Cornett. A woman, mid-flight, traveling to witness the wedding of her daughter, struggles to come to terms with the matrimony. Burt her outdated understanding and devoutly fundamentalist beliefs about marriage are going to have to take a back seat to a much more pressing matter: her imminent demise. “A Light at the End of the Tunnel” written by Gareth Shore and performed by Jesse Cornett (narrator, Shaun), featuring Peter Bishop (Jim) and Heather Ordover (Jean). Production by Jesse Cornett. Score by Jesse Cornett. We all remember the things our parents taught us. But what awaits the subject of this tale is a torturous revelation that no one could have prepared for. Wtf you guys are slipping your barely putting out a show a month. Is everything alright I love your show and I’m worried about you guys does the dummy have dryrot or something? Hi, Tom. Regrettably, due to budget restraints and significant staffing changes, the show will be going on a temporary hiatus. 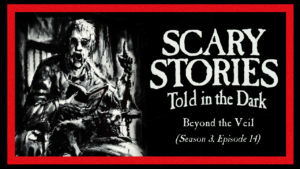 We have two more episodes planned, but following the S2E13 show, we will be taking a break to get things back in order. This has also contributed to the length of time it has taken for these final episodes to come out. SOME NERD, just in case you’re not joking, the reference is to the head of the Spanish Inquisition, Tomas de Torquemada. You knew that though, didn’t you?